Paying for a college education can be a challenge. Fortunately, CERRA is here to help. The primary purpose of these pages is to provide high school students and individuals who have chosen to pursue a career in education a number of resources to explore that can help finance a path to the classroom. Start by clicking the appropriate tab below. Grants and Scholarships do not have to be repaid. Most loans must be repaid, under most circumstances. They usually have low interest rates, and most do not have to be repaid until the student leaves college. Fellowships are funds granted for advanced study. In many cases, Fellows share similar professional interests. Student Employment is a job that the college coordinates or assigns for the student to offset the cost of attending school. The South Carolina Teacher Loan Program encourages South Carolina residents to enter the teaching profession. These loans are forgiven by teaching in a SC public school in a critical subject and/or critical geographic area. What are the critical geographical areas? Critical geographical areas vary in each district and every year. Please visit https://scstudentloan.org/current-borrowers/teacher-forgiveness/critical-geographic-schools for more information. Critical Subject Areas are designated annually. However, to be eligible to cancel a debt for teaching in a critical subject the recipient must be teaching a subject designated as critical at the time the recipient began borrowing through the Teachers Loan Program. A list of critical subject areas can be found at https://scstudentloan.org/current-borrowers/teacher-forgiveness/critical-subject-areas. You must be a resident of South Carolina. You must be enrolled in and making satisfactory academic progress at an approved institution on at least a half-time basis. You must be enrolled in a program of teacher education or have expressed an intent to enroll in such a program. Entering freshmen must have been ranked in the top 40% of their high school graduating class and have an SAT or ACT score equal to or greater than the South Carolina average for the year of high school graduation. Currently, the average scores are: SAT (ERW and Math) 1058, ACT 18. Enrolled undergraduate students, including enrolled freshmen (2nd term of freshman year), must have a cumulative grade point average of at least 2.75 on a 4.0 scale and must have taken and passed the Praxis Core (Praxis I prior to 07/01/14). Students with a SAT taken on or after 03/05/16, earning a total score of 1100 or greater (1650 for 3-part exams taken 03/01/05 - 03/04/16) or an ACT score of 22 or greater are exempt from the Praxis requirement. Other Praxis exemptions may apply, check with your College's Education Department. Entering graduate students must have at least a 2.75 grade point average on a 4.0 scale. Graduate students who have completed at least one term must have a grade point average of 3.5 or better on a 4.0 scale. Freshmen and sophomores may borrow up to $2,500 per year with the SC Teachers Loan. Juniors, seniors, and graduate students may borrow up to $5,000 per year. The aggregate maximum is $20,000 for undergraduate and graduate students. Career changers may borrow up to $15,000 per year and up to an aggregate maximum of $60,000. For more information, visit the South Carolina Student Loan Corporation ‘s website at www.scstudentloan.org or call 803.798.0916 or 800.347.2752. The Ken Bower Teacher Cadet Scholarship, named in memory of Dr. Ken Bower, an architect of the original Teacher Cadet course and curriculum, is awarded each year to as many as five senior Teacher Cadets who intend to become classroom teachers in one of South Carolina's many public schools. Teacher Cadet instructors receive notification of the call for applications early each calendar year, and the additional scholarship information can be found at https://www.teachercadets.com/ken-bower-scholarship.html. Teacher Cadet's family financial information. Teaching Fellows may also be recipients of the Ken Bower Scholarship. Program at the Center for Educator Recruitment, Retention, & Advancement - SC (CERRA). The mission of the program is to recruit talented high school seniors into the teaching profession and to help them develop leadership qualities. Each year, the program provides Fellowships for up to 200 high school seniors (actual number determined annually based on funding by the General Assembly) who have exhibited high academic achievement, a history of service to the school and community, and a desire to teach South Carolina’s children. Teaching Fellows participate in advanced enrichment and professional development programs at Teaching Fellows Institutions, are involved with communities and businesses throughout the state, and receive up to $6,000 in yearly scholarships for four years while they complete a degree leading to teacher certification. The scholarship provides up to $5,700 for tuition and board and $300 for special enrichment programs (contingent on funding from the South Carolina General Assembly). A Fellow agrees to teach in a South Carolina public school one year for every year he/she receives the Fellowship. There are 10 public and private colleges and universities designated as Teaching Fellows Institutions that are currently accepting new Teaching Fellows: Anderson University, Charleston Southern University, Coastal Carolina University, College of Charleston, Francis Marion University, Lander University, USC Aiken, USC Columbia, USC Upstate, and Winthrop University. Applicants invited to a regional interview will be asked to rank order their college choices before their interview session. The application window for the 2019-2020 cohort has closed. Check CERRA’s website at https://www.cerra.org/teaching-fellows-application.html next fall to apply for the 2020-2021 cohort. The mission of the Call Me MISTER (Mentors Instructing Students Toward Effective Role Models) Initiative is to increase the pool of available teachers from a broader background. Call Me Mister combines the special strengths of Clemson University with the individualized instructional programs offered by several colleges and universities in South Carolina. The project also has limited enrollment in the middle school Master of Arts in Teaching Program. Call 800.640.2657, visit https://www.clemson.edu/education/callmemister/, or e-mail MISTER@clemson.edu. The Teacher Education Assistance for College and Higher Education (TEACH) grant program provides grants of up to $4,000 per year to students who intend to teach in a private or public elementary or secondary school that serves students from low-income families. As a recipient of a TEACH Grant, you must teach in a high need field for at least four academic years within eight calendar years of completing the program of study for which you received a TEACH Grant. If you fail to complete this service obligation, all amounts of TEACH Grants that you received will be converted to a Federal Direct Unsubsidized Stafford Loan. The Center's College Financial Newsletter serves as a resource tool between high schools and college admissions/financial aid representatives. The College Financial Newsletter tries to get students past the roadblocks that may discourage the prospective college student, as well as his or her parents, from pursuing a college education. To assist in finding information about college scholarships, loans and other programs, the Center publishes the College Financial Newsletter, a newsletter featuring a review of current financial aid information. 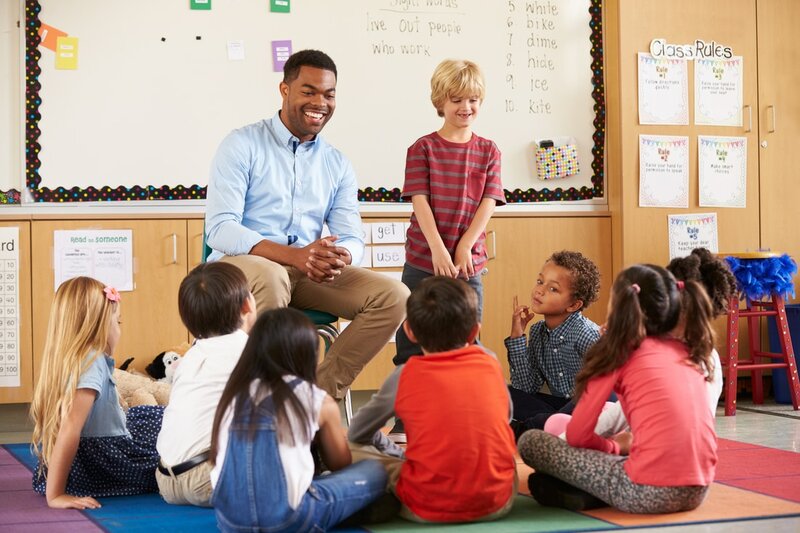 CERRA and The South Carolina Student Loan Corporation have partnered to created a new publication called Financially Speaking: Becoming a South Carolina Teacher. This brochure provides detailed information on financing a degree in teaching. 1200 SAT/27 ACT by the June national test administration. For college freshmen entering in the fall of 2019, the amount of the scholarship is up to $6,700 towards the cost of attendance. Sophomores, juniors, and seniors may receive up to $7,500 per year. Math and science majors are eligible to receive up to a $2,500 supplement beginning their second/ sophomore year. Freshmen attending an eligible four-year college or university in the fall of 2019 may receive up to $5,000 (including a $300 book allowance) each academic year towards the cost of attendance. Math and science majors are eligible to receive up to a $2,500 supplement beginning their second/sophomore year. For students attending an eligible two-year public/ private college or technical college in SC, the LIFE scholarship pays up to the maximum cost of tuition at the two-year regional campus (plus a $300 book allowance) each academic year. Students must earn a cumulative 3.0 GPA based on the SC UGS upon high school graduation to receive the LIFE Scholarship at a two-year college. Freshmen attending an eligible four-year college or university may receive up to $2,800 (including a $300 book allowance) toward the cost of attendance. Have a high school diploma, a GED, or a passing score on a test approved by the U.S.
Federal Parent Loan for Undergraduate Students (PLUS) - Loans made to parents who are then responsible for repaying the amount borrowed. Federal Pell Grant - Direct aid for students based on need. Maximum amount awarded for the 2018-2019 is $6,095, depending on program funding, financial need, and cost of attendance. FAFSA completion automatically targets students who qualify. A type of federal loan available to students who are enrolled in college at least half-time. Borrowers who receive a Federal Stafford Loan may be eligible for the US Department of Education’s Stafford Loan Forgiveness Program for teaching. Upon meeting specific criteria, including teaching for five consecutive, complete school years in a low income school, recipients may be eligible to forgive up to $17,500. Federal Supplemental Educational Opportunity Grant (FSEOG) - Grants of $100 to $4,000 for students with exceptional financial need. Federal Work Study Program (FWSP) - Jobs on campus for students with financial need. Federal law requires the U.S. Department of Education to provide students with the opportunity to apply for federal aid without paying a fee. To be considered for student aid, the Free Application for Federal Student Aid (FAFSA) form must be completed and submitted. Forms are available in high school guidance offices and online at www.fafsa.ed.gov or by calling 800-4-FED-AID (800.433.3243). Students may not complete the FAFSA application before October 1 or after June 30 of the year in which they will receive the aid. NO EXCEPTIONS. After applying, you will receive a Student Aid Report (SAR) noting eligibility for aid. The South Carolina Tuition Grants Program provides undergraduate grant assistance to eligible SC residents who attend SC independent, non-profit (private) colleges on a full-time basis. Think creatively about financial aid options! **Consider community agencies, civic groups, corporations, cultural organizations, foundations, fraternal groups, religious organizations, and the military for additional aid. Ask your guidance counselor, and check the guidance office’s bulletin boards OFTEN for local information. We do our best to provide you with current links to additional information that can aid you in securing the finances needed for college. There are many other sources available on the internet. We encourage you to spend time researching for additional resources, but some of these sites do not have your best interests in mind. Don't fall prey to fraud when searching for information on student financial aid. The College Scholarship Fraud Prevention Act helps protect against fraud in student financial assistance. “The scholarship is guaranteed or your money back." The following information lists loans, scholarships and grants that are available to qualifying students who are interested in teaching. These links take you directly to the Web sites where more information is available. There are also Web sites and free services listed where a search can be conducted for additional scholarships. Finally, registration information for college entrance exams is listed. The Winthrop Initiative for STEM* Educators (WISE) is dedicated to helping individuals not only financially, but also with personal support. There are multiple financial opportunities within the WISE program to help pay for an undergraduate and/or graduate teacher certification program. The WISE program is also dedicated to helping prepare talented individuals for teaching in high need schools and supporting them beyond graduation. For more information please visit our website. The South Carolina Need-Based Grants Program is designed to provide additional financial aid assistance to South Carolina's neediest students. To qualify, a student must be "needy" as defined by Title IV Federal Student Aid Programs. The purpose of the program is to provide undergraduate grant assistance to eligible South Carolina residents attending, on a full-time basis, certain independent non-profit colleges located in the state. The Federal PLUS Program was established to ease the burden that the cost of post-secondary education places on many families. Federal PLUS loans are available to parents of dependent students who need additional assistance or who may not qualify for other types of financial assistance. Troops to Teachers is a Federal Program under the Department of Defense that assists veterans in becoming teachers. The program offers counseling, financial, and placement assistance. For those who qualify, there is a $5,000 stipend to help qualify for a SC license to teach, or up to a $10,000 bonus to teach in a high needs school, or a combination of the two not to exceed $10,000. Federal Perkins Loan Cancellation – provides full loan forgiveness of Federal Perkins loans for eligible teachers working in low income areas. For more information about this program, go to: https://studentaid.ed.gov/sa/repay-loans/forgiveness-cancellation/teacher#teacher-cancellation. Public Service Loan Forgiveness Program – pays the remaining balance on a Federal Direct Loan after a loan recipient who works for a qualifying employer makes 120 consecutive monthly payments. Public school districts normally would be considered a qualifying employer. For more information go to: https://studentaid.ed.gov/sa/repay-loans/forgiveness-cancellation/public-service. Palmetto Fellows Scholarship: SC Commission on Higher Education, 1333 Main Street, Suite 200, Columbia, SC 29201, (803) 737-2262. This scholarship provides financial assistance to high school seniors in SC who have achieved a high score on the SAT, and have noteworthy GPA, class rank, extracurricular activities, leadership, and counselor recommendations. Students must attend a South Carolina institution. May receive up to $6700 annually. LIFE Scholarships: SC Commission on Higher Education, 1333 Main Street, Suite 200, Columbia, SC 29201, (803) 737-2293. This scholarship is available to all South Carolina residents who graduated from high school after 1995. If attending a technical college the student must have a B average to receive up to cost of attendance. If attending a 4-year institution the student must have a B average, minimal SAT score and take a minimum of 30 hours per year to receive up to cost of tuition. Scholarship Grants for Prospective Teachers: Phi Delta Kappa, Inc., Attn. Scholarship Grants, PO Box 789, 8th and Union Avenue, Bloomington, IN 47402, (812) 339-1156. This grant is for high school seniors in the top third of their class who plan to become teachers. The Federal Supplemental Educational Opportunity Grant Program (FSEOG) - This program provides grants of up to $4,000 for students with exceptional financial need. The Federal Perkins Loan Program - This program provides loans for students with demonstrated need. No interest is paid while you are enrolled in college. When you leave college, you must repay the loan with 5% interest. The Federal Work-Study Program (FWSP) - This program provides jobs for students with demonstrated need. Federal Pell Grants - These grants are based on your family's financial circumstances and may be used at the college of your choice. The Ron Brown Scholarship - This scholarship is open to African-American high school seniors who are academically talented and highly motivated. Applicants must be able to demonstrate excellent academics, exceptional leadership potential, financial need and impact their communities through activities and service to others. Candidates must be pursuing full-time undergraduate degrees. Awards are $10,000 per year for four years. Visit http://www.RonBrown.org for more information. Phi Delta Kappa Scholarships - The PDK Educational Foundation awards more than 30 scholarships each year to prospective educators who have a connection to PDK by having a family member or teacher who is a PDK member, or through membership in the Future Educators Association®. All scholarships are available under a single application. Borrowers who received a SC Teachers Loan or a SC PACE Loan may be eligible to forgive portions of your loan indebtedness by teaching in certain critical geographic and subject areas in the SC public school system. This forgiveness is available only to certified teachers and not to teacher's aides or teacher assistants and only to recipients of the SC Teachers Loan. Critical Geographic Schools - If you taught in one of these schools during a particular school year, you may be eligible for forgiveness. Critical geographic areas are designated annually by the State Board of Education. It is the recipient's responsibility to determine a school's designation prior to accepting employment. Critical Subject Areas - If you received a loan to teach one of these subjects, you may be eligible for forgiveness. Information about teacher loan programs and forgiveness, including information about career changers, PACE, etc., can be found at https://scstudentloan.org/school-loans/sc-teacher-loan-programs-forgiveness.